Our second “2018 Highlights” lists the historic properties that were designated as Mississippi Landmarks by the Mississippi Department of Archives and History in 2018. 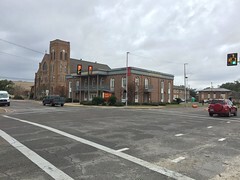 The Mississippi Landmark designation isn’t the same as National Register listing, and to read about the differences, see this post. Unlike the wealth of new designations in 2016 (22, which was a record, at least since we started keeping track in 2009), but in keeping with last year’s list of 7 properties, 2018 saw 6 new Mississippi Landmarks (all but one are schools), but subtracted one through de-designation. 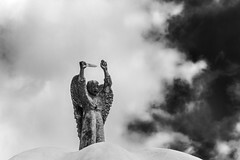 Photos below and the accompanying text came from the Significance Reports prepared by staff in the MDAH Historic Preservation Division for review by the MDAH Board of Trustees. HISTORICAL SIGNIFICANCE: Together, these two former high schools, Lee and Hunt, built as segregated campuses, provide a unique insight into the 15-year period after World War II that historians refer to as the Equalization Period. Since Lee and Hunt high schools were built as part of the same building program under the same bond issue, for the same age group, and they were designed by the same architect, R.W. Naef, the two schools allow for a direct, one-to-one comparison that is unique in the state. While hundreds of schools were built around Mississippi in the 1950s, most of them receiving Equalization aid from the state, in only a few instances were such similar schools erected in a single town that could be so directly compared. The buildings thus provide tangible case studies that can reveal whether and when “equalized” school facilities actually achieved equality, for instance in the quality of finishes and furniture, in the variety of spaces such as auditoriums, gymnasiums, classrooms, laboratories, and in the number of pupils per classroom. ARCHITECTURAL SIGNIFICANCE: Lee High School is architecturally significant as an early example of a sprawling Modernist campus that became the standard for high schools built later in the 1950s. Since the 1920s, school designs, often called the “Alphabet Schools” because their footprints resembled letters of the alphabet, had been compact, usually one-story buildings that made use of natural light and ventilation. With the advent of cheap and accessible electricity by the 1940s, however, and with the concurrent expansion of high school curricula to include music, sports, home economics, vocational training, and science labs, school architects began spreading out the school building, piecing together in new and creative ways the various new educational spaces such as cafeterias, gymnasiums, libraries, laboratories. While earlier classical designs had employed symmetry as an organizational scheme, the asymmetry of Modernism allowed these large buildings to be broken up into smaller sections based on function, so that classroom wings could be separated from the smells of the cafeteria, and the vocational shop could be far distant from the library, and the music wing and auditorium could be connected to facilitate concerts and recitals. With the low horizontal lines, facades of steel ribbon windows, exposed concrete structural members, and interlocking volumes, Lee High School demonstrates the adept design instincts of architect R.W. 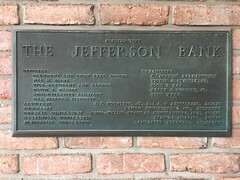 Naef, whose Jackson office was one of the three largest architectural firms in the state. Naef’s use of a new concrete-forming technique in Lee High School that cast the walls after the completion of the concrete structure caught the attention of the editors of Architectural Concrete magazine which published “New Construction Technique Proves Economical” in the 1954 issue. In the 1950s, Naef served on the Jackson Public School Board through the largest school building campaign in the city’s history, assisting the board as an unpaid volunteer in overseeing the details of the building program while simultaneously taking himself out of the running for the many school commissions that might have been available to him. Opened in 1942, the original building at Brandon Middle School, the original High School Building, was designed by N. W. Overstreet, Mississippi’s most prominent twentieth-century architect, celebrated for his designs in the Streamlined Moderne and International styles and his use of concrete as both a structural and decorative building material. This asymmetrically massed International Style building constructed in concrete is the most architecturally significant building on the campus. The main entrance is located in the two-story section located at the center of the building. This center section, which contains the auditorium, with stage and balcony, and offices, is flanked by one story wings containing classrooms. The wing on the north has a lower level that contains the library. The interior floorplan is intact with many of its finishes such as solid slab doors with port-hole windows maintained. The Daisy McLaurin Stevens Elementary School, opened in 1959 and designed by Jackson architect Jones & Haas, was built as part of the Equalization programs of the late 1950s adjacent to the Brandon High School. The one-story U-shaped brick-veneered building retains many of the features that define the best Modern schools of the post-war era, including long window walls shaded by deep eaves, a covered walk with exposed trusses, and a multi-purpose auditorium/ cafeteria. The building, facing east on College Street in downtown Brandon, is composed of three wings, the one on the north containing the multi-purpose auditorium/cafeteria and two other wings containing classrooms. The main entrance is asymmetrically located near the northern wing and is composed of two sets of double-leaf doors flanked by window walls composed of large, fixed rectangular panes of glass. Built in 1941 and designed by Jackson architect N.W. 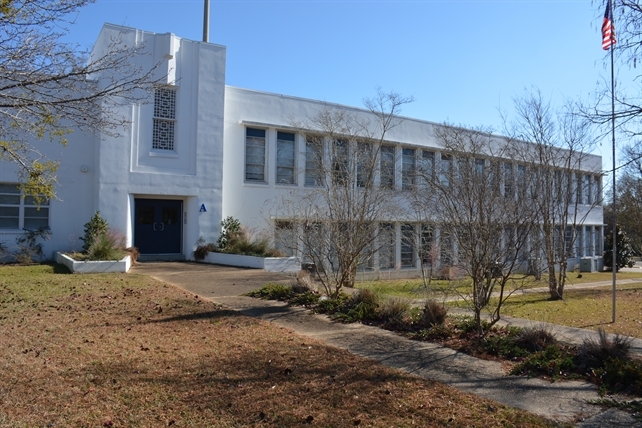 Overstreet, this two-story asymmetrically massed Art Moderne building is one of the the most architecturally significant in Choctaw County. Although contemporary newspaper accounts describe the building as “monolithic concrete,” a 1955 survey of Choctaw County schools describes it as having a steel and concrete structure finished with stucco. The smooth finish creates a planar surface, and curved corners on the library end of the building give a sense of movement valued in the Moderne style. A two-and-a-half-story vertical tower topped by a flagpole marks the main entrance and has a metal grille or brise soleil on the second story. The library is to the left of the entrance behind a mostly blank wall, while to the right, a circular window—Overstreet’s trademark—introduces the long classroom wing, its horizontality emphasized by the two levels of shallow concrete canopies over the windows that wrap to the south elevation. The interior floorplan is intact—a T-shaped hallway plan with double-loaded classrooms on the long wing—has had finishes altered and ceilings dropped for ductwork, but boarded transoms remain. Historical Significance: The school building was constructed in 1931 and is located on a site that has been used for educational purposes since the mid-nineteenth century. The College Hill Presbyterian College was established in 1840 and continued into the early 1900s. In 1913, the Lafayette County Agricultural School was established on this site, across the road from the old college campus, and the first brick building was completed. After the first building was destroyed by fire, the Agricultural High School carried on using other wooden buildings which are no longer extant and constructed a new brick building in 1931 with academic and dormitory wings. In 1933 another of the Lafayette County Agricultural buildings burned, and the school closed. The remaining building reopened as a public elementary and middle school, ceasing to accomodate boarding students, and the building was converted to classrooms during this transition. This change was due for the most part to the availability of automobiles and school buses by the 1930s and also to the movement of people from rural farms to towns. The school finally closed due to consolidation during the late 1950s, but during the late 1960s and early 1970s, it served as a private academy. Today it functions as a community center and early elementary school. The fact that the College Hill School was designed as both a boarding dormitory and classroom building is of particular interest, as extant examples of high school dormitories, once common in rural Mississippi, are rare. Architectural Significance: This simple brick school conforms to a standard plan created by the State Department of Education and is typical of rural American institutional buildings of the 1930s with large window groupings, modest detailing, and a central assembly space commecting the two wings. Despite its simplicity, however, the building is handsome in its functionality and should be noted for its sturdy construction. The Phoenix Naval Stores Company Office is located within the Turkey Creek community on the northern edge of the City of Gulfport. Established in 1866 by freedmen, the Turkey Creek community was named for the creek on which it is located. Turkey Creek flows east into Bayou Barnard on the western end of Biloxi Bay. In 2007 the Turkey Creek Historic District was listed on the National Register of Historic Places. According to the director of the Mississippi Coastal Plain Land Trust, Judy Steckler, what we call the Phoenix Naval Stores Company Building was designed to serve as an office for the Yaryan Company, which was later owned by several different companies, but was eventually purchased by the Phoenix Naval Stores Co. The Yarayan Co. began manufacturing creosote, turpentine and other products made from pine sap around 1900. Mississippi Gulf Coast National Heritage Area’s, historic preservation coordinator, Jeff Rosenberg, who has thoroughly researched the area said the plant at Turkey Creek boiled 300 tons of longleaf pine stumps a day in gasoline in order to produce naval stores, which are the byproducts of pine. The term naval stores comes from the historical needs of the world’s great navies for waterproofing materials for wooden ships. Resin from pine trees was processed and used to seal the small gaps in ship hulls. By the 20th century, navies no longer needed naval stores, but the name stuck and the gooey products continued to be used for smaller civilian vessels, roofing materials, shoe polish, and all manner of resins. The Phoenix Naval Stores Plant was the scene of an explosion in 1943, which killed eleven men. The tragedy is still remembered in the Turkey Creek community today. The Naval Stores Plant closed in 1958 and all the remaining buildings were removed from the property. A Sanborn Map dating from 1950 however, indicates the office had already been moved. 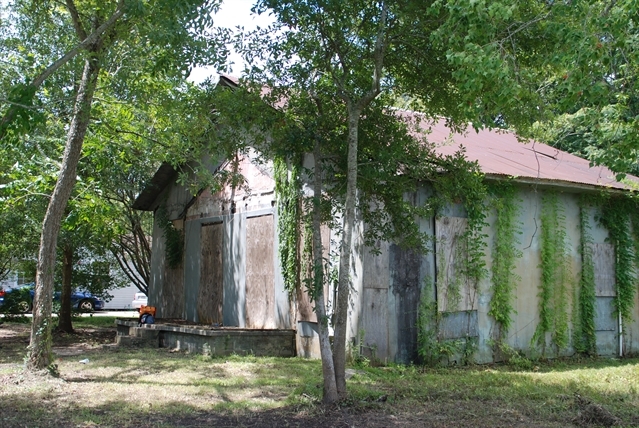 Evidence of the company office being moved is supported by oral histories collected by Associate Professor of Geography at the University of Southern Mississippi David H. Holt in his “Turkey Creek Watershed Oral History Project, 2016.” The Phoenix Naval Stores Office is one of the few buildings remaining from this once thriving industry. After the building was moved, it was used as a single-family dwelling. 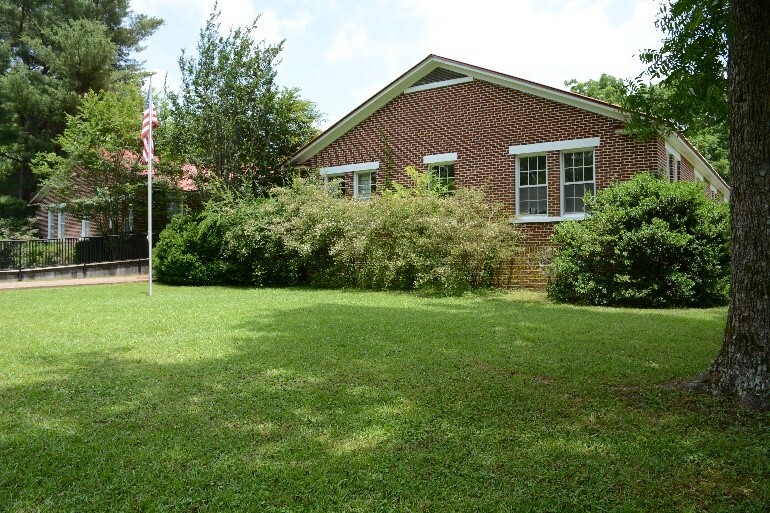 In the 1970s, the former office became the childhood home to famous Ole Miss Women’s Basketball player Eugenia Conner, who was inducted into the Mississippi Sports Hall of fame in 2017. The Phoenix Naval Stores Plant was a major employer for the people of Turkey Creek. The Naval Stores Plant provided a much-needed source of income, but also suffering associated with a dangerous unhealthy job. Because this building is the only remaining structure associated with the Naval Stores Plant, it is an important component to the culture of this African American community. 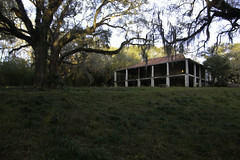 In 2001, the Turkey Creek community was placed on the 10 Most Endangered Places list by the Mississippi Heritage Trust. In 2004, to prevent the vacant building’s demolition, the Phoenix Naval Co Office, was purchased by community activist Derrick Evans. A year later, in August of 2005, Evans’ efforts were reversed when the building was badly damaged by Hurricane Katrina. 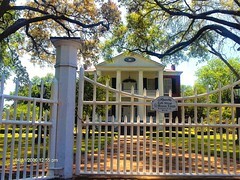 Following Katrina, Turkey Creek was listed on the National Register of Historic Places in 2007. 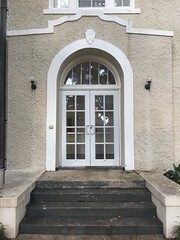 Turkey Creek’s listing on the National Register was a result of a concerted effort by local, state, and federal preservationists to save remaining Gulf Coast landmarks. The Phoenix Naval Stores Co. Office is a contributing element to the Turkey Creek National Register District. In 2015, the Phoenix Naval Stores Co. Office was listed individually on the Mississippi Heritage Trust 10 Most Endangered Places List. 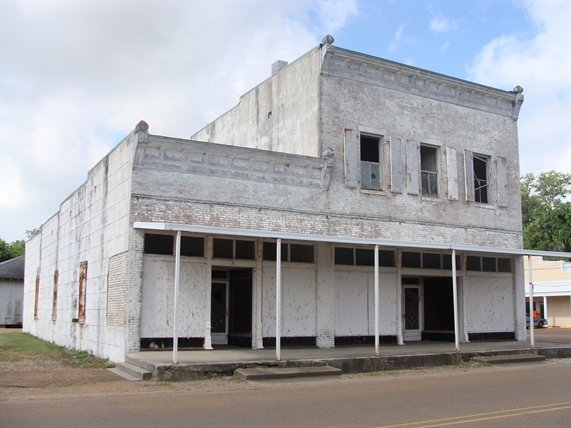 Pearl & Kline Store, Anguilla, designated as a Mississippi Landmark in 2008, de-designated in October 2018 due to structural degradation and prolonged vacancy. Can’t get enough Mississippi Landmarks? I would certainly like to know the backstory behind the de-designation of the Pearl & Kline Store. I have not looked back through all the past Mississippi Landmarks posts for confirmation, but I think this is the first de-designation of a Mississippi Landmark since the site began. There certainly have not been many, so it stands out (even more so against a backdrop of only six new landmarks). Sources say that the city had planned to renovate it as a city hall back when it was designated in 2008, but the funding never came through and it has continued to sit vacant. A structural engineer experienced in historic masonry buildings determined that the brick walls were in such deteriorated shape that it could only be saved at tremendous cost and had become a safety hazard. MDAH has finally entered the internet era in its public notices for Mississippi Landmarks, which I’ll post about next week, so in the future, any de-designations should come as such a shock–and yes, there’s another one on the way, the Elks Club in Greenville, due to be voted on at the next MDAH Board of Trustees meeting next Friday, Jan 18. I see they’ve taken the public notice down now that the notice period has expired, which is disappointing, but we’ll just have to keep track of them and post them here in the future.